Leading IT technological innovations such as Software as a cloud storage and Service (SaaS) have revolutionized the operation of modern labs. Biobanks, CROs and research labs are fastmoving towards cloud technology, owing to excessive pressures of meeting deadlines and complexities associated with IT infrastructure and support. 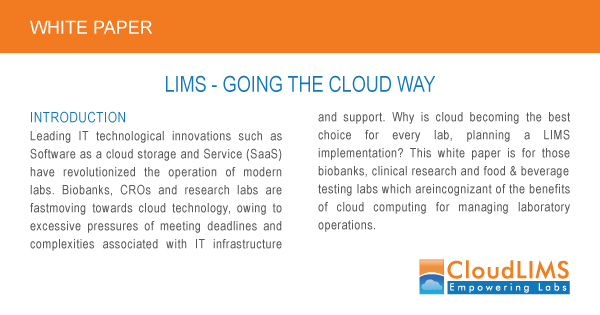 Why is cloud becoming the best choice for every lab, planning a LIMS implementation? 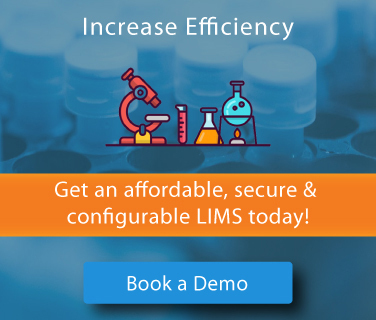 This white paper is for those biobanks, clinical research and food & beverage testing labs which areincognizant of the benefits of cloud computing for managing laboratory operations. With a constantly transforming global economy, every laboratory urges to evolve and innovate. Laboratories worldwide, encounter a challenge for automating workflows by utilizing minimal resources. They streamline daily operations, often on a shoestring budget. A significant share from the sanctioned grants drifts towards lab inventory such as reagents, consumables, instruments and software. 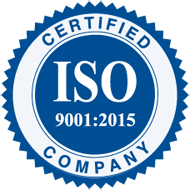 Furthermore, laboratories are required to follow strict regulatory guidelines to meet industry-specific compliance.